DualShock 4 Review 2019 - Is It Worth The Money? Many were delighted to see the brand new incarnation of Sony’s signature DualShock 4 controller when the PlayStation 4 launched, mainly because it fixed many of its predecessor’s flaws and added a number of useful features. Today, we will look at that very controller and provide you with an in-depth review of all of its aspects and functionalities. Moreover, we will also see in what ways it differs and improves upon its predecessor, the DualShock 3 controller. Perhaps the most shocking thing about the new controller was the revamped design. Indeed, Sony had hardly changed the appearance of the PlayStation controller since the PSOne, so this new approach really did catch everyone by surprise. As you can see from the image above, the DualShock 4 has a new, much rounder and sleeker frame as opposed to its predecessor. Furthermore, the touchpad and speaker give it a quite futuristic feel. It also comes in a variety of colors, including the standard black, white, silver, gold, red, blue, a green camo pattern, as well as white, blue, and red transparent “crystal” variants. Perhaps most notably, the controller is now quite a bit larger and more comfortable to hold. DualShock 3 was commonly criticized for being too small and awkward to hold, which was especially true for people with larger hands. The DualShock 4’s analog sticks are noticeably smaller than those of its predecessor, with a smaller range of movement but also with greater precision. They, too, were redesigned to be more ergonomic, as evident from the protruding rings on the thumbsticks. It should be noted that while the original DualShock 4 had issues with the thumbsticks fraying upon even minimal use, this was fixed with the revised version which has become the standard controller with the introduction of the PS4 Slim. 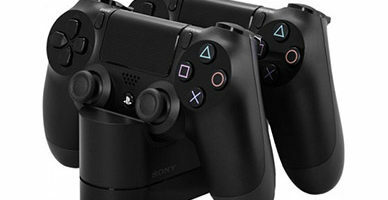 The pressure-sensitive face buttons of the DualShock 3 were seldom utilized properly by games, resulting in the feature getting scrapped with the DualShock 4. Because of this, the new face buttons are now very tactile and produce an audible click when pressed. Not many adjustments were made to the D-pad, seeing as it was near-perfect even in the DualShock 3. The new D-pad is a bit larger and feels much more comfortable and tactile than the old one. DualShock 4’s shoulder buttons were redesigned to fit better with the controller’s new look, resulting in a semi-ellipsoid shape. 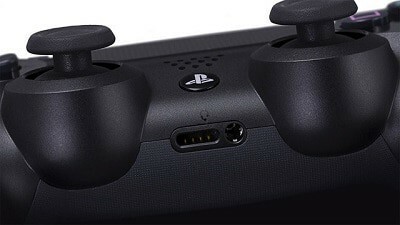 And, like the face buttons, their pressure-sensitivity was scrapped as well. The triggers were a very welcome change from the DualShock 3, whose triggers were very uncomfortable to hold down for longer periods of time. The new triggers are slimmer and curved slightly so as to minimize slipping, although they still don’t fare that well when being held down. The triggers are also the only buttons to retain pressure-sensitivity. 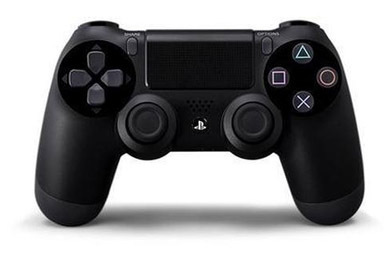 The DualShock 4 is the first controller ever to incorporate a touchpad into its design. In addition to being able to register two touch points simultaneously, the touchpad can read a variety of swiping gestures, although the extent of its functionality varies from game to game. On top of that, the touchpad itself is actually a single large button. However, with the help of touch detection, it can function as two separate buttons based on which side of the touchpad is pressed. 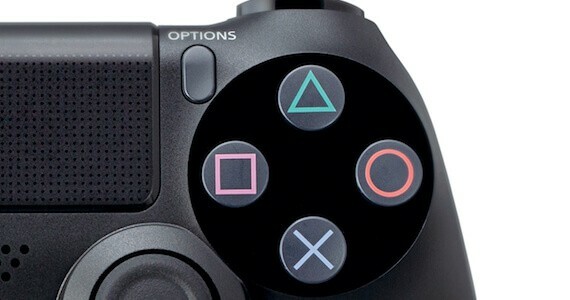 That way, it essentially replaces the Start and Select buttons of the previous DualShock versions. 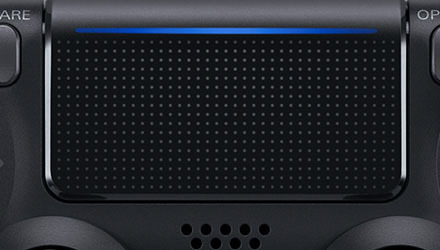 A built-in mono speaker is another new feature that was originally seen with the Nintendo Wii. The speaker is used primarily as a means of increasing player immersion by playing various sounds through the controller speaker rather than through the TV speakers. The light bar has been the source of some controversy when the controller was first released, mainly because it could not be turned off. Much like the speaker, it is used to provide some neat dynamic effects in games and the light can be picked up by the PS Camera to enable more accurate motion detection. That said, many felt like it was a needless drain on the controller’s battery if they didn’t care about the aforementioned effects or did not have a PS Camera. Even today, the light bar can only be dimmed and not disabled entirely. The DualShock 4’s new gyroscope improves upon the previous generation’s Sixaxis. It still utilizes similar technology but is much more precise than before – even more so if the PS Camera is added to the mix. Another improvement that the revised DualShock 4 introduced was enabling wired communication. With the original version, the controller could charge via USB but could only communicate with the console via Bluetooth. This raised concern among some gamers due to the inevitable input lag that comes with a Bluetooth connection, no matter how slight. Even though it wasn’t a major issue, it was still a very basic function that should have been available since day one. Sony’s controllers have always been problematic when it comes to compatibility with other platforms. The primary reason why DualShock 3 never really took off as a PC controller as opposed to the hugely popular Xbox 360 one was that it lacked any official drivers while the latter had plug-and-play compatibility with Windows. 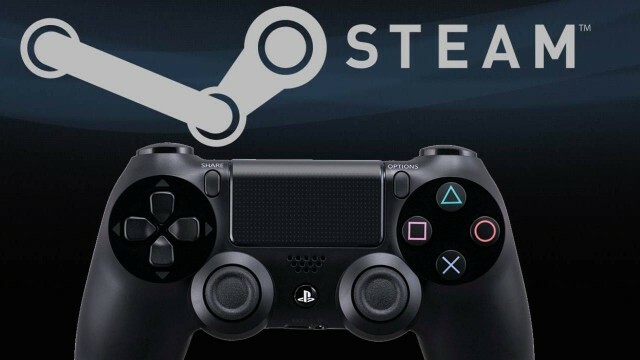 So, has the situation changed with the DualShock 4? Well, sort of. 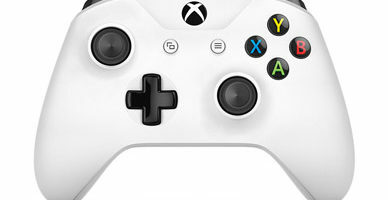 In spite of all that, some of the controller’s features still remain inaccessible to PC users, most notably its wireless audio capabilities. Furthermore, some game-related effects will also be unavailable on PC versions of those games. 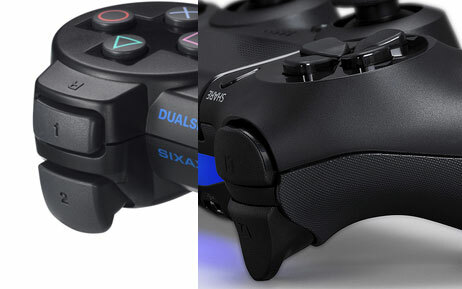 You can read more about connecting your DualShock 4 to your PC or Mac in our article on that very topic. All in all, the DualShock 4 is not a perfect controller but it definitely comes close. It adds a plethora of useful features (even though some can only be used with the PS4 itself) and is an all-around better-built, much more comfortable controller than any of its predecessors. Ultimately, the DualShock 4 controller is one remarkable piece of tech whose positive qualities greatly outweigh the negative ones. All it would take is slightly more effort and some open-mindedness on Sony’s part, and we could very well see DualShock 5 become the best game controller ever made – but that is a topic best left for 2019 or later. The DualShock 4 is an impeccable controller and almost perfect in every sense. The DualShock 4 controller is definitely worth the money at the moment.